There will be haters in your life, yes there will be. If you use the systems that we recommend here at Marketing for Owners, there will be haters and what I mean by that is people are jealous, and people are jealous of success, and will be jealous of you. When they start to see competitors doing things differently, people will complain. People may say things to you but if you’re doing it right you’ll be upsetting your competitors. If you’re not doing anything you’ll just be vanilla, and no one will notice you, and you’ll just blend in. If you do it successfully you will stand out. You will attract attention and that’s the whole point of this. After a long time your competitors will start to learn what you’re doing but once you’ve got a head start they will start to do it too. It will take a long time don’t you worry about it. The important thing is there are haters everywhere, as well as internet trolls, so just don’t worry about them. They are going to be that. It’s a sign that you’re doing the right thing, that you’re upsetting them because you are beating them. So don’t let them get you down it’s always going to happen. We have it all the time in all of my businesses. People are just dazed and confused, so don’t you let them worry your pretty little head, okay? This week I’ve got an excellent book to share with you. It’s called Mastering the Rockerfeller Habits by Verne Harnish. Verne runs an organization called Gazelles. This is fabulous. Now for those of you that like systems, this is bang up real straight. This was recommended to me by a good friend who is an extremely successful entrepreneur — Robert Hash. 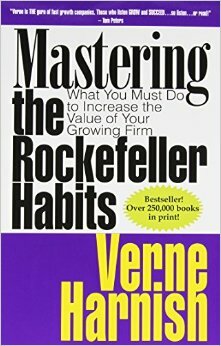 He said, “If there’s one book you want to read it is Mastering Your Rockerfeller Habits” and it really is fantastic. I have never seen a book, who just before the introduction, has gotten so many genuine testimonials from genuine companies with heartfelt gratitude. There are pages of it. Just reading those alone is worth the effort. Honestly, I’ve never seen anything like it. So go get the book, Mastering the Rockerfeller Habits, and you will learn stuff, and you will be pleased. I apologize for any noise by the way ski has got guys in the background. This is really is live from the top of the glacier. Anyway end of me, go have a fun day! 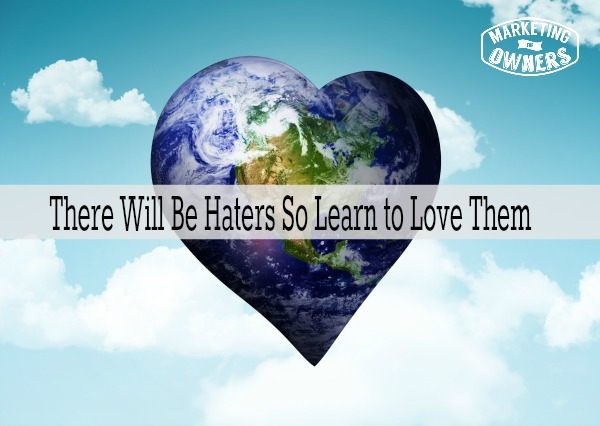 Do you have haters in your business?